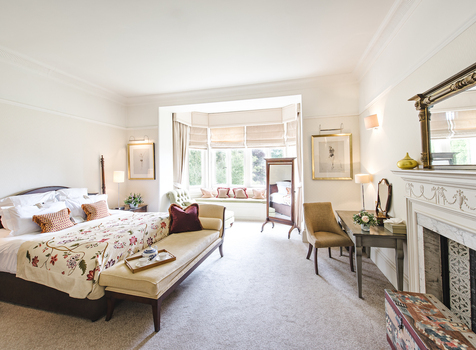 When conceptualising the rooms at Lords of the Manor, we felt it appropriate to showcase the history and character that has developed in the property over the years. With such provenance, it comes as no surprise to learn that each room’s quirks reflect the layout of the original building and later additions. 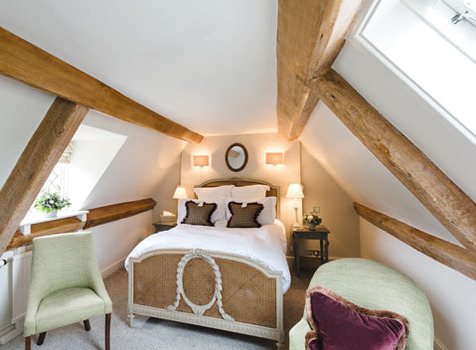 Whether you wish to retreat to one of our cosy Country bedrooms, set up base in the converted barn and granary Manor rooms or be closer to nature thanks to the Rectory rooms’ garden views, there is a space for every taste at Lords of the Manor. 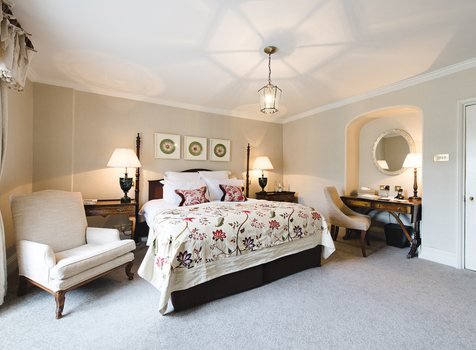 The convenience of the Cotswold bedrooms and their separate lounge is undeniable, and should you wish to satisfy your yearnings for luxury, you can call one of the exquisite Lords bedrooms home for the duration of your stay. In addition to offering opulent accommodation we pride ourselves on delivering outstanding service that showcases why we are classed as one of the Cotswolds’ finest hotels. If a luxurious break is what you seek then look no further – you have discovered Cotswolds’ finest. 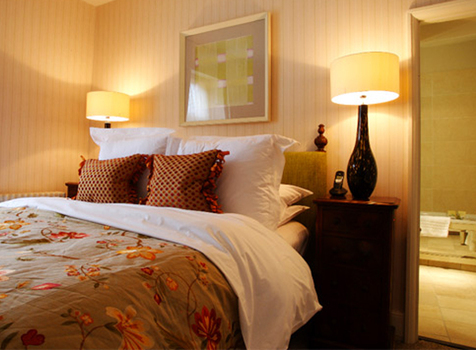 Hotels with stately charm are always sought after in the region, so contact us directly for the best rate guaranteed. Small but perfectly formed, these cosy bedrooms have all the finishing touches you would expect and are perfect for a comfortable night’s sleep. 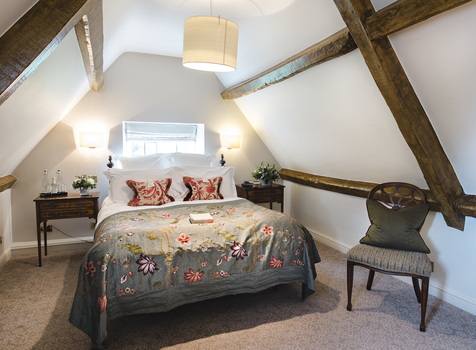 Beautifully finished and spacious, our Manor rooms situated in the converted barn and granary. Still attached to the main house, they offer views of Upper Slaughter or our tranquil inner courtyard. Situated in the main house, and once known as The Old Rectory, these rooms boast wonderful garden views and traditional features reflecting the historic nature of the property. These large rooms include a suite with a separate lounge area and can also include a sofa bed if needed. Ideal for families thanks to the dog-friendly junior suite. Opt for king size beds and superb views; these are the largest rooms in the property and include a room with a colonial four poster and another with bay windows.